Our favorite time of NCAA season is finally here! We’re teamed up with The Post and Courier for the second year in a row to bring you Hoops Frenzy 2017! Compete in our bracket challenge for a chance to win BIG! All you have to do is make your picks before the tournament starts tomorrow! The final cutoff is Thursday, March 16th at 12:00 pm. Fill out your bracket here. The local prize is a 50 inch LED HDTV and the ultimate grand prize is $1,000,000. If your team wins, so could you! 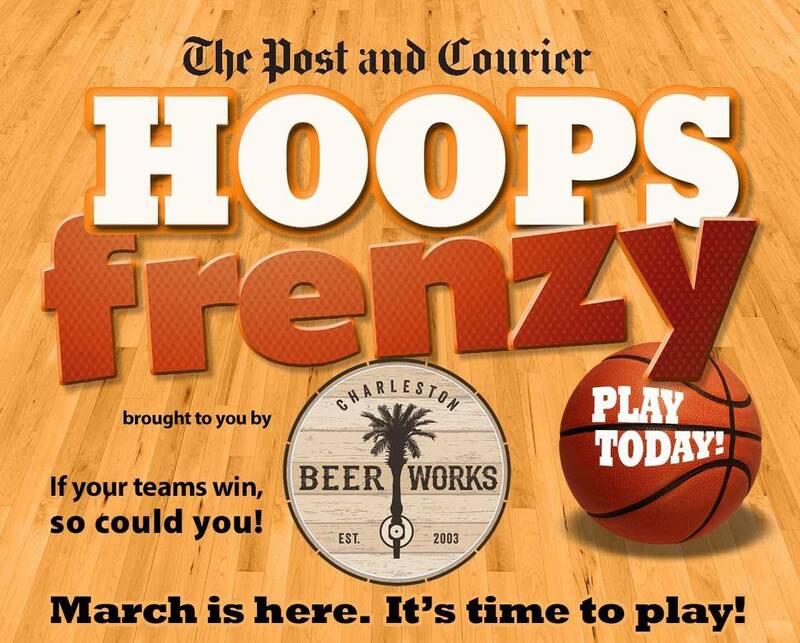 This tournament season, Charleston Beer Works has all your games playing, morning, noon and night. Stop by for happy hour or make it a date and grab dinner and drinks to watch your team play! Let’s get it started. Game on.